Snap and Share Art Walk is a fine art juried competition open to all visual artists, from novice to professional. The Snap and Share Art Walk is a celebration of the dynamic energy urban graffiti/street art offers through its craftsmanship and unique beauty with innovative use of shipping containers to connect to our ‘hip’ community. 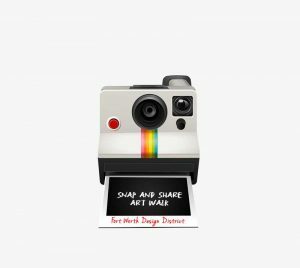 The Snap and Share Art Walk is a 4 part art contest that is looking to showcase graffiti/street art at the Fort Worth Design Center. Box Office Warehouse Suites is made entirely of shipping containers, where art and business connect. Box Office Warehouse Suites and Fort Worth Design District, in collaboration with Golden Triangle Business Park, invites urban street artists to participate in the Snap and Share Art Walk. Participants will compete for a $1000 grand prize.4 artists will be chosen to create a mural on container walls at the Fort Worth Design District. Artists interested need to submit an application by July 10, 2018. By clicking this box, I agree to the terms and conditions listed and understand that failure to comply will result in elimination and property damage charges, if applicable. $200 for materials and for painting to begin. An individualized press release on PR 24/7 wire account prepared by a professional writer. The murals created by the four chosen artists will be showcased during the Snap and Share Art Walk.